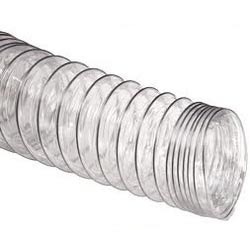 We are a leading Manufacturer & Supplier of PVC Duct Hoses such as PVC Duct Hose, PVC Flexible Duct Hoses, Flexible PVC Duct Hoses and Flexible Ducts from India. Flexible Ducts offeredcomes in quality construction finish and come developed using fire retardant PVC fabric. Further, these ducts come supported by steel wire and black rubber strip so as to provide them superior wear-and-tear proof properties. Some of its features include superior fire resistant and waterproof properties; offering flexible and lightweight usage appeal; allows rolling up for easy transportation and storage; allows for easy connection to ventilation equipment. We are a prominent manufacturer, supplier, wholesaler, trader, retailer and exporter of an extensive range of Rubber Rollers. The range made available by us is manufactured using super quality rubber, which is sourced from trusted vendors of the market. These non-porous products can retain moisture and can easily be maintained with a mild detergent & water. Our range is offered in various specifications. 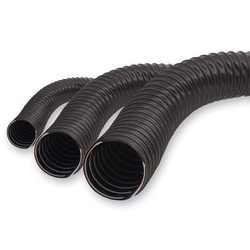 With firm commitment to quality, we are manufacturing, supplying, wholesaling, trading, retailing and exporting quality-approved PVC Duct Hose. High quality PVC is used by our experts to manufacture the offered range. Our range is lightweight and resistant to high temperature. Also, it is applauded for its excellent insulation and high flexibility. 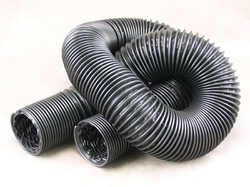 Owing to our vast experience, we have been successful in catering to the requirements of our esteemed clients by manufacturing, supplying, wholesaling, trading, retailing and exporting PVC Flexible Duct Hoses. The offered hoses are manufactured using virgin PVC material that is sourced from vendors of high repute. Post-production, these products are inspected to rule out every possibility of defect. 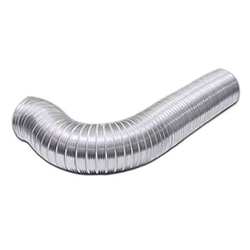 With our expertise in this domain, we are able to manufacture, supply, wholesale, trade, retail and export finest quality Flexible Duct Hoses. Our range is manufactured by expert professionals using PVC materials. All these products are flexible and have excellent strength with a transparent structure for efficient visibility. The offered range is demanded in different industries such as food processing, chemical plants and beverages.